The CEO of Hyundai India, Mr. YK Koo, has just confirmed that the AH2 code-named hatchback will be launched in India during Diwali. The car is expected to be shown at the 2018 Indian Auto Expo. 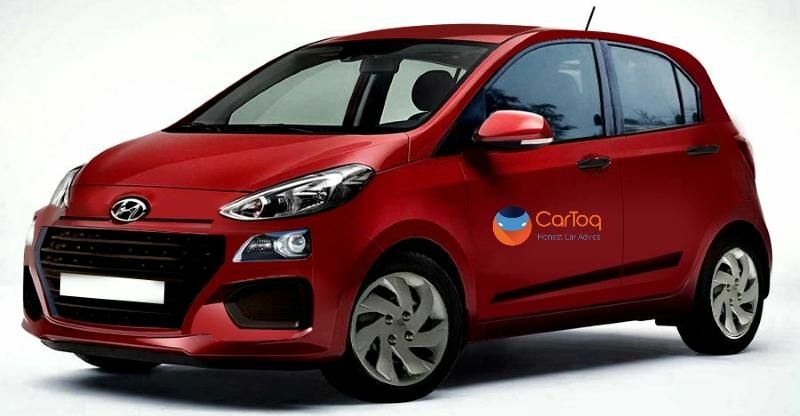 Also, it will be wider and taller than the Hyundai i10, a car that the new Santro will replace. Mr. Koo has also revealed that the new car will be priced between Rs. 3-4 lakhs, and will feature both manual and automatic gearbox options. Previous reports have revealed that Hyundai would introduce its automated manual transmission (AMT) technology in India through the new Santro. This more or less confirms that the Santro will be offered with AMT as an option. The car will be powered by a 3 cylinder petrol engine, likely to displace around 800cc. This engine will run on petrol and will also be designed to accept CNG-Petrol dual fuel kits fitted at the Hyundai factory itself. The Santro name is a possibility but the company is yet to take a final call on the matter. It would be launched near Diwali this year. So we will take a final call on the Santro badge at around that time. However, I must admit that we are under a lot of pressure from dealers, customers and market to bring back the Santro brand. As you can make out from the statements made by the Hyundai CEO, there is a very strong push by dealers, customers and the market for the new hatchback to be named as the Santro. The Santro is a brand that was first introduced in India during 1999. Back then, the car became an instant hit and made Hyundai a well-known brand across the length and breadth of India. By relaunching the Santro badge, Hyundai will be able to take benefit of the goodwill that the brand has generated over the years.